Some may say it is too early to be talking about Christmas, but I say it's not! You've gotta plan ahead, right?! I feel like by the time Christmas actually gets here each year I'm too busy planning everything out to actually enjoy the season. I always have good intentions to plan and execute some things early, but in true Natalie fashion, I'm just getting everything done the night before. So if you DON'T want to be like me (I'm trying to do better this year, really! 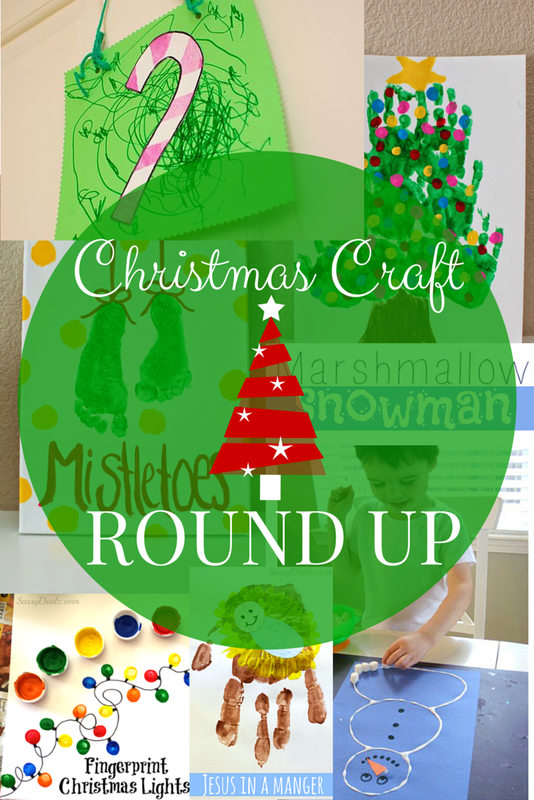 ), here are some of the fun Christmas crafts I've been pinning this year. I would ideally like to do a craft each day with the girls during the Christmas season, but I think we will realistically do a few per week. I am pretty picky when it comes to crafts, honestly. 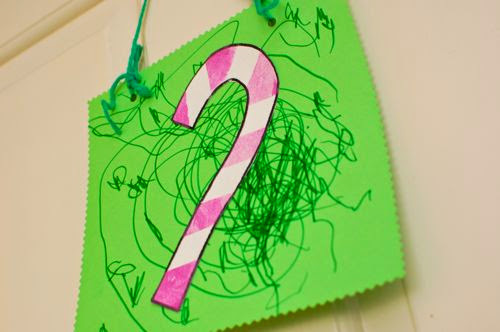 The former teacher in me LOVES crafts, but in order for it to be worthy of my time and choosing, it has to: be simple, not require a lot of materials or hard to find materials, be something my kids will enjoy, be something my kids can actually DO and I'm not just doing most of it for them, BE CUTE!! (I don't care too much about a mess. We pretty much always do crafts at the kitchen table with shirts off or smocks on and I just wipe it all up afterwards). I think all of these links meet my criteria...hopefully you agree! Love this cute little idea! 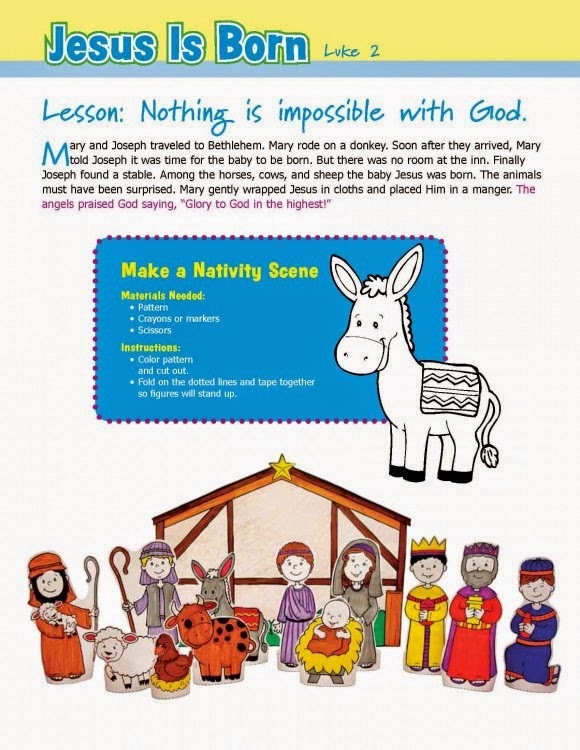 I love that it's perfectly imperfect and a child of any age could do well with this. I can't tell what she used for the hat, but I think cutting out a triangle of cardboard and then wrapping it with festive wrapping paper would work well and be adorable. 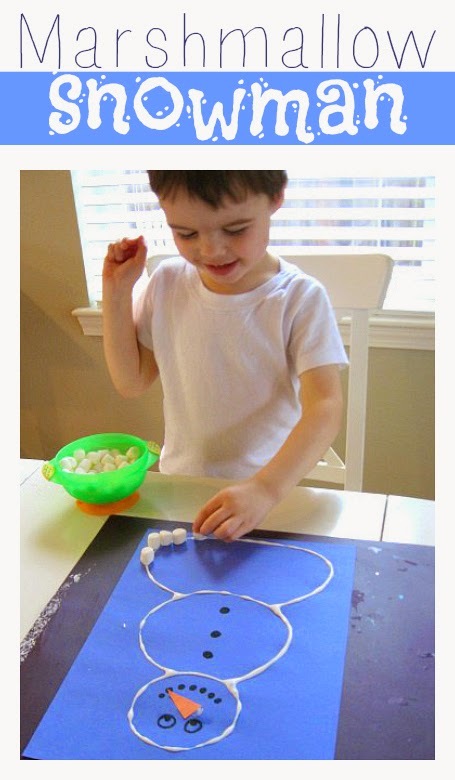 And what kid doesn't love gluing cotton balls?! Simple and cute...my kind of project! All I'll have to say is "marshmallows" and my kids will be in! My MIL and SIL made me a similar canvas last year of the girls' feet and it is my favorite thing ever! So cute and such a sweet memory. I am going to display it every year for the rest of time! This is so cute! I'm not sure how easily I would be able to get my girls to put their fingers where I drew the lines, but we will attempt it! I may try to just "connect" each bulb AFTER they put their fingers on instead? So so cute! A little bit more "mom heavy" than the others, but still adorable. Love anything with my kids handprints! 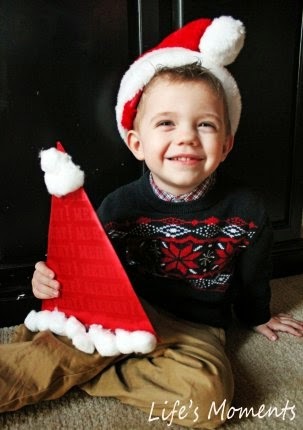 Do you have any other cute Christmas craft ideas for kids?! I know there are so many good ones out there! I will be sharing a lot of the cute DIY ornament ideas I found soon, as well! 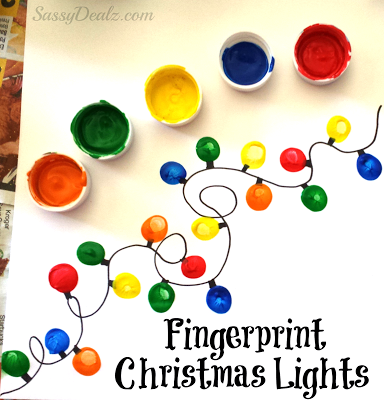 I've wanted to do the finger print strand of lights for years. So cute! Love that first tree! 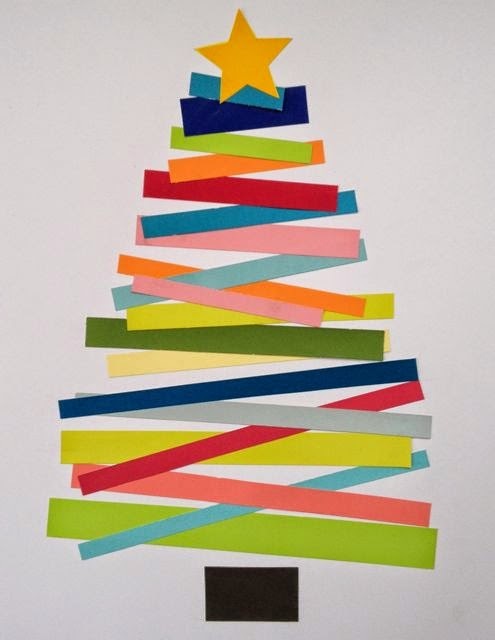 And they can make the strips themselves and get in some cutting practice while being festive! Win, win! I'm all about planning ahead (at least I attempt to be)! some really great ideas! love the stripped tree and the lights! 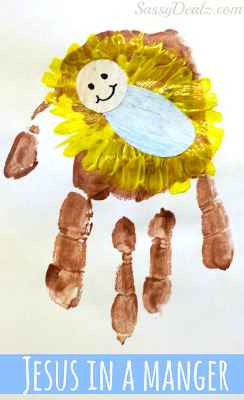 So many cute ideas - I love the hand print manger.